It sounded like such a good idea: instead of putting a hybrid-electric powertrain into a class of cars that’s already pretty efficient, GM and Dodge would put them into their least fuel-efficient vehicles. Increasing the mileage of their big pickups would save more fuel than optimizing an already-efficient compact car. Companies (and people) may need big engines for hauling things around or towing, but they still have to stop for traffic and intersections. Commercial pickups can also spend a lot more time on the road than commuter cars, resulting in more savings. 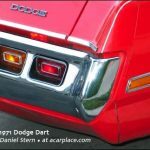 Both GM and Dodge tried to sell their hybrids to reluctant buyers by making them faster than the regular vehicle; thus, Dodge used the Hemi and Chevy used the 6.0 liter V8. In both cases, the hybrid also helped the engines go to four cylinders more often (both have cylinder deactivation), so there’s an added benefit. Perhaps a V6-hybrid pairing would have had better economy numbers, in retrospect. When gas prices are low, truck buyers don’t seem to care much about gas mileage — keep in mind these trucks were engineered when prices were hitting $4/gallon — and even then, the easiest way to save fuel was to downsize to a Colorado, if you needed to tow and haul, or into a car or crossover, if you were just commuting. The Colorado 4×4’s gas mileage isn’t quite as good as the hybrid Silverado, but it costs much less. Commercial buyers weren’t enthusiastic about hybrid trucks, either. Rated by the EPA at 20 mpg in city traffic, we found the Silverado more likely to deliver 17-18 in suburban traffic or regular highway speeds. Those who spend more time in snarled tie-ups and serious traffic jams, or in true urban areas, are likely to get higher mileage. With hybrids, generally, the worse the traffic, the better the mileage. Inching along in bumper to bumper traffic at 5 mph? Your mileage will be terrific. Clear sailing at 75 mph? Uh-oh. The hybrid still saved around four to eight miles per gallon, a truly hefty increase for a pickup and far better than getting, say, an extra 12 mpg out of a compact car. Acceleration was strong, not surprising with a big V8. The electric motor kicks in instantly when the gas pedal is pressed down; floor it, and the motor gives its all, getting the truck going while the engine is still revving or the transmission is busy downshifting. The motor gives the truck a little edge in responsiveness, which overcomes the added weight of the alternate powertrain. Around town or on the highway, the Silverado Hybrid has all the power one needs, and it puts it to the ground well for a pickup. (The 6-liter V8 is rated at 248 horsepower; adding in the motor brings it to 332 horsepower. Torque is 367 lb-ft, with the motor boosting it to an amazing 498 lb-ft). On the highway, the electric motor kicks in most of the time, if the gauge is any indication. The engine tries to stay down at four cylinders, with moderate success; we suspect it’s tuned too conservatively. Towing is decent though not at the top of the Silverado’s form, with a 5,900 pound (4×4; 6,100 lb, RWD) tow rating. The transmission is a CVT with four fixed gears, to help drivers feel at home at the cost of a small amount of efficiency. (Why four gears instead of six?) Generally, the transmission shifted very smoothly and predictably. On the highway, kickdowns were a little slow, but the electric motor helped fill in the gaps. 55 appears to be the high-mileage point, where you can easily achieve the EPA-rated 20 mpg. Going up to 75 knocks down the mileage by 1-2 mpg, still decent for a pickup with a big V8. The hybrid doesn’t really come into its own until the engine is warm (less than five minutes in the summer, presumably longer in the winter), and any gas engine will run less efficiently when cold. For some commercial owners, this might not be a big issue; but by no means is the Silverado Hybrid a sensible replacement for the ol’ family sedan. Cornering is quite good for a pickup; the rear tires seemed grippier than usual, and the tail end didn’t bounce around. Broken and dirty pavement did not have as much of an impact as we expected, though the ride is firm, and you feel the undulatons of the road at least once. It’s no sports car but it’s a lot more nimble than one would think it would be. The brakes are as effective as one expects in a Silverado, the truck that brought “short stop” to the vocabulary of pickup owners (it was the first modern pickup to compete with cars in stopping power). Modulating the brakes is difficult, though — a problem that seems common among hybrids. It must be difficult to balance feel with the regenerative braking system that converts inertia into electricity. Slam on the brake pedal and the Silverado stops quickly and in a straight line, which is an achievement for a 5,882 pound (2,668 kg) truck; but it takes some time to get the hang of ordinary stop signs. Visibility is as good as it gets in a big truck; the oversized mirrors (which swing to hug the body as needed) helped, as did strong headlights and reasonable sized rear pillars; the manual day/night mirror worked, as usual, better than auto-dimming models. The one problem area is inevitable, backing up; we strongly recommend the backup alert, so that drivers will be aware of short people behind the truck (a problem resulting in many fatalities for children). Wind noise is low for the class; road noise was moderately high. Other than the vents and fan, the controls were all sensible and relatively ergonomic; and, mainly, the seats were soft, supportive, and comfortable. The cloth seats were pleasant on the eyes and back alike. Indeed, the interior manages to look fairly upscale while not losing the “serious truck” look, partly due to the two-toned effect in our beige-interior pickup. The four knobs (headlights, 4×4, and stereo volume and tuning) are rubberized on the outside for eash grips, and all buttons seem to have been designed to be activated with gloves, with the exception of some of the climate-control buttons. The standard floor mats are heavy duty rubber, appropriate for the truck; they blend in well with the dark carpet. Overall, GM’s interior design crew did an excellent job on this pickup. Being a truck, the Silverado has a column shifter; but it still has a driver override to allow manual gear selection. The driver has to shift one step over into M(anual), then use an up/down switch mounted on the shifter. It’s not designed for performance or everyday use, but then, it’s not needed for everyday use, and the truck isn’t a performance vehicle. The steering wheel on our test vehicle had audio controls and cruise control buttons in a sensible arrangement, designed to be used without taking eyes off the road, with buttons placed in a logical pattern and carrying clear tactile cues. Everything that is wrong with the CTS steering wheel design, is right with the Silverado design. The headlight control is standard for GM: the default is not Off but Automatic, and Off requires a leftward flick that re-defaults to Auto. Turning on the parking lights shuts off the bright daytime running lights, seemingly designed to annoy other drivers. At least on the Silverado Hybrid, a little light doesn’t appear on the dash to let you know the headlights are on (or off, depending on the GM model). Gauges are clear and sensible. A small “economy” gauge actually measures electricity spent or generated. The tachometer has an “auto stop” area to show that the ignition is on, but the engine is off. You can run around on pure electric power up to around 20 mph. Other gauges provide oil pressure, coolant temperature, and of course fuel level, with the former gauges showing actual units (psi and degrees). The four wheel drive control is electronic, providing choices of rear wheel drive, automatic, and four wheel drive with high and low gears. Four wheel drive is the usual variety that scrubs the tires if the surface does not ”give,” and should not be used routinely; it also greatly widens the turning radius. Automatic four wheel drive can provide surprises if you have to do a tight turn on a wet road. The base stereo provides decent sound and very good controls. A dedicated information button, set away from the rest, changes the display. Overall, this is a very well designed stereo from an ergonomic standpoint; and it has a small auxiliary input jack, subtly located underneath the CD button. As for sound (which is really the main point), the FM and satellite radio was somewhat muddy and lacking in clarity, with overdone bass; but CDs sounded very good indeed. While the main climate controls (fan and temperature up/down) make sense, the buttons for defrost, automatic, a/c, etc. are small and hard to use with gloves on, while using up/down buttons for vents and the fan is simply inane. Should the driver really be pressing a button repeatedly while watching a tiny vent display to get to the right place? Oh, and speaking of GM nuttiness: a yellow warning light above the mirror tells you at all times whether you have a passenger in the front seat. At least the wheel-mounted cruise control makes sense, even if it is a system not used by anyone else, including some other GM vehicles. Twin glove compartments are now de rigeur in pickups, and for good reason. The top compartment has an awkward handle, and has little space. The lower compartment is conventionally opened, but also fairly small. All four doors have map pockets. The oversized center console, which also folds up to allow for three people to sit in front, includes three cupholders and a paper holder. There’s a hard little area that might be good for coins if it was rubberized. Front passengers get a convenient pull; rear passengers can reach for an overhead folding handle. The rear seat folds up to protect the fabric, revealing easy-to-clean plastic; it’s easier to load the rear of the cabin with cargo without the seat cushions adding height, and bulkier objects will fit in. There are no catches or tricks to this, just lift and the button cushions swing up to meet the back cushions. For people, the interior is large and inviting, with three seats formed into the rear bench, and two bucket seats up front with a not-particularly-inviting-but-usable space for a sixth passenger.By all appearances, this would be a good family car; three tall adults can sit in the rear, with plenty of legroom and headroom. But aside from the gas mileage, the bulk of a full-sized pickup means it doesn’t fit into many parking spaces. Likewise, the heavy-duty suspension means a steep climb into the cabin. A step is cut into the end of the rear bumper to help people climb into the bed would be handy; there is one in the middle but you have to swing over the gate, if it’s open. Loading into a bed that high is difficult. On the lighter side, the gate is much lighter than in past models. Buyers should consider a bed liner to avoid the inevitable scrapes and scratches; the hybrid Silverado comes with a standard flexible tonneau cover, presumably to reduce aerodynamic drag. The emergency brake release is three inches to the right of the actual brake, which is set very close to the hood release, making it too easy to accidentally step on the hood release. Two generic GM features were included in our test vehicle: XM stereo and OnStar. The first is a subscription radio service with a hundred stations, featuring music you will not hear on centrally programmed, monopoly-owned commercial radio. There are few ads, little DJ chatter, and an incredible variety of music, and the system is programmed into the radio as just another band, like FM (which unfortunately means that when you switch from FM to XM you need to go through two FM channels, AM, and two XM channels). But the name of the channel (e.g. Bluegrass, DeepTrak, the 1970s) is shown on the display so you know where you are. You can use presets to return to your favorite XM stations. While the audio quality is not as good as it could be, the lack of talk and the diversity of programming both beat Sirius. OnStar is integrated into the mirror, and can quickly make itself useful for those who travel and sometimes need a little help getting un-lost. By automatically calling an ambulance after an accident, OnStar may even save your life. Or it can get you into your truck after you lock your keys in; or, if you subscribe to the directions feature, you can call an OnStar rep, who can program in a destination. Your truck will then download the directions and get you there with turn-by-turn navigation — both over the speakers and shown on the status indicators. Underneath the speedometer was an LED panel showing the compass heading and whatever else the driver wanted — distance to empty, average and instant gas mileage, tire pressures (for each individual tire), voltage, etc. That display was also used as a status report for error messages (e.g. “Service Charging System”), and as a guide for giving the driver granular control over door locking and exterior lighting. The controls for this system were to the left of the gauges, easy to reach and to figure out. Of particular interest is the oil life remaining indicator; this is managed by the engine computer, based on actual driving conditions. Drivers using this system instead of the “3 months or 3,000 miles” recommended by oil change places and less scrupulous (or less modern) dealers have often cut their oil change intervals into half or a quarter of what they were. That’s a good savings in time and money, unmatched by just about any other manufacturer. Interior lighting is decent, with right and left dome lights for front and back, though it would be better if the switches gave some indication of whether the lights were on or off. Rear seat belts are not adjustable. The base price of the Silverado Hybrid is $39,970 with rear wheel drive, or $42,145 with four wheel drive; that puts it in with the pack of near-luxury pickups, and not far from the Silverado LT we tested last time. The hybrid is a crew cab, which gives you an interior similar to a full sized car in size, with extra headroom (presumably they could increase gas mileage by dropping the roof a few inches, but then where would we put our Stetsons?). Included in the price is a fairly wide range of luxury and utility features; our test truck had one option, the $275 six-way driver’s seat adjuster, putting the truck at $42,420. Most people would probably be satisfied with the standard features of this truck; the one major option, a navigation system, could be compensated for simply by using the OnStar Turn-by-Turn Directions service, where you phone in to OnStar (using a button on the mirror), say where you’re going, and the operator programs directions and sends them to your truck. Our truck had the locking rear differential, four-wheel antilock brakes with dynamic rear proportioning to keep those stops straight, head curtain side airbags, one year of OnStar Safe & Sound (directions are extra), tire pressure monitors, hand-free phone system, front tow hooks, dual power mirrors (heated), chrome grille, cargo light, power locks and windows, dual-zone automatic air conditioning, satellite radio with steering-wheel controls, trip computer, intermittent wipers, tilt wheel, and cruise control. Again, that’s about all the features most buyers would want, all standard. For the moment, the Chevy is the only hybrid truck in town. That should change in 2010 when the Ram Hybrid appears, if it appears. The Chevrolet Silverado Hybrid provides a 7,300 pound gross vehicle weight rating, full-sized pickup utility, a full-sized sedan interior, lots of features, five-star crash test ratings (front and side; rollover is four stars), and gas mileage that is far above similar pickups powered solely by V8 engines. That said, the hybrid will only really pay off for those whose trucks tend to be in stop and go situations, and that stay in traffic long enough for the engine to warm up and the hybrid to kick in. If the truck spends most of its time sitting idle or running down the freeway, there’s not much point. Whether the Silverado is worth the price is entirely up to the buyer; but if gas prices go up and your situation fits the Chevy pickup’s strengths, you may find the extra money well spent.